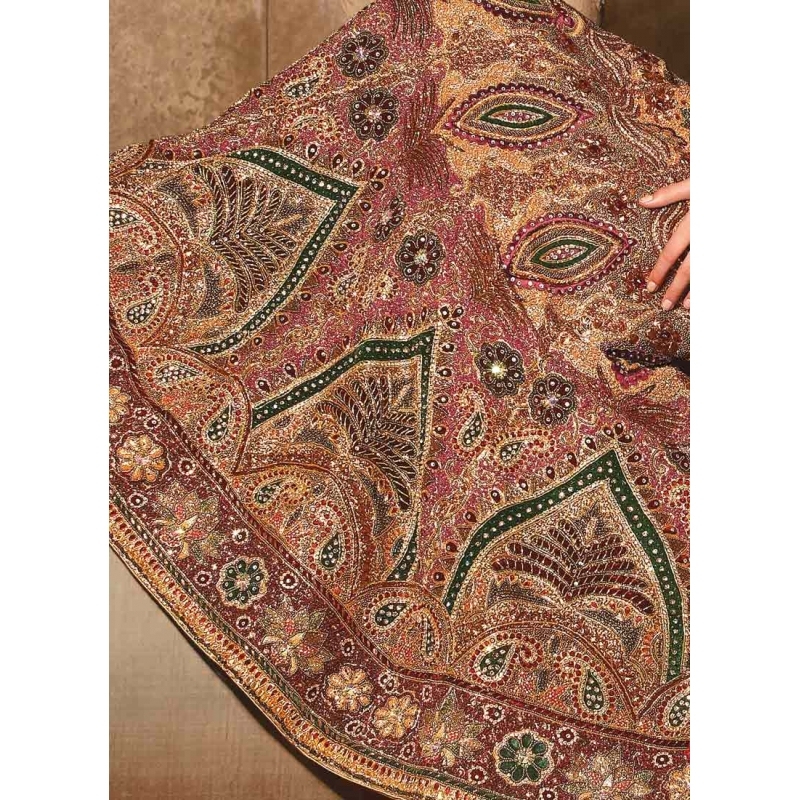 Get a second dressed in this gold and reddish maroon shade lehenga choli. 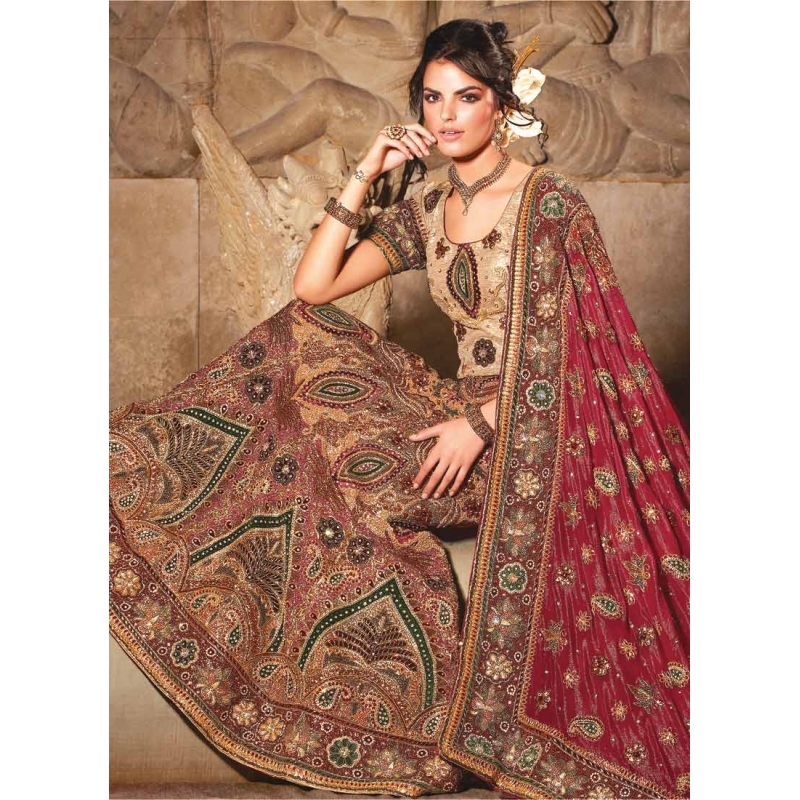 The fabulous designs adorning the lehenga and choli are embellished with velvet, stone and resham work. It comes along with a fabulous dupatta. A lama and water shimmer lehenga choli. MAXIMUM POSSIBLE SIZES: BUST 40 INCHES, CHOLI LENGTH: 14 INCHES, LEHENGA LENGTH 38 INCHES TO 40 INCHES.